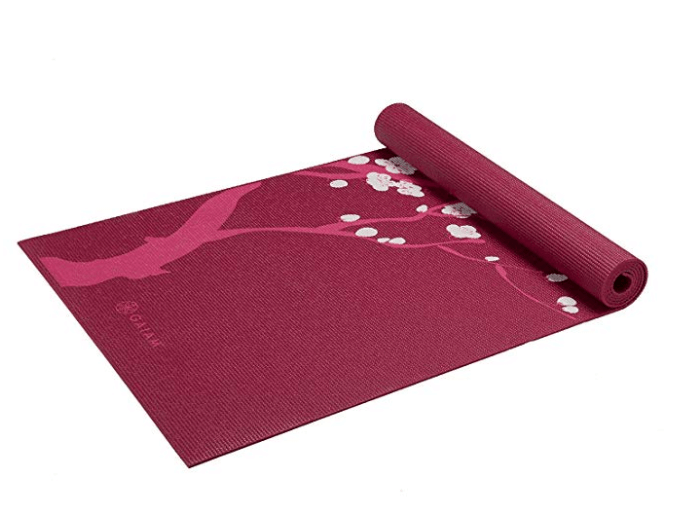 Takeaway: In need of a need of a new yoga mat? Here's a comparison of some your best options! Are you in the market for a sparkling new yoga mat? I know when I was finally ready to invest in a truly high-caliber sticky mat, I had no idea which one to get. There were simply too many options! When you’re willing to spend a pretty penny on your new yoga mat, you want to make sure you order the best one for you, because chances are, you’re going to be spending thousands of hours on this mat—ideally, over the course of several years. This is why you need a definitive guide to the best yoga mats available today. 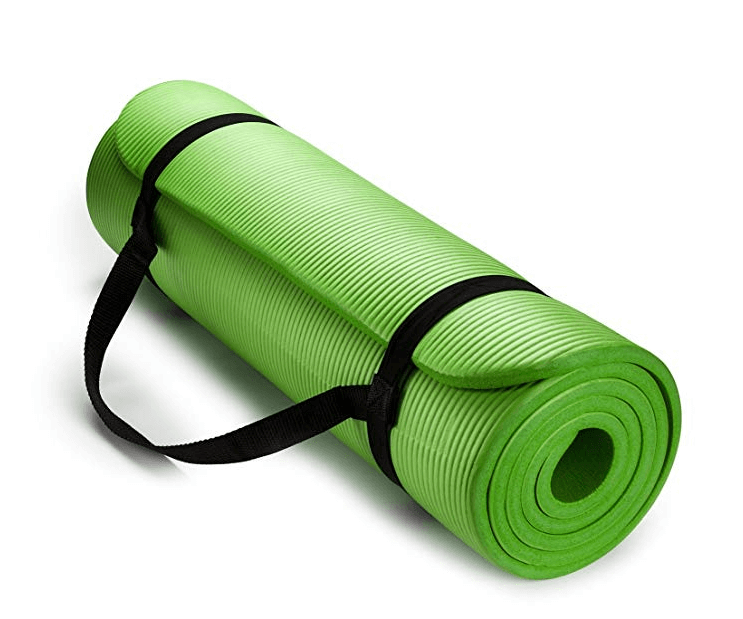 Are you ready to discover which yoga mat is best for you? Good! Let’s explore! 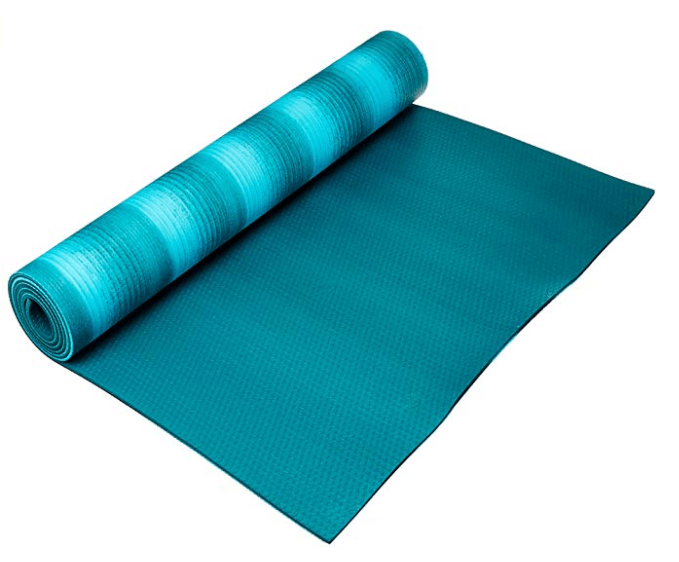 This one’s a couple bucks cheaper than the other BalanceFrom yoga mat on our list. It’s also a tad bit thinner at ¼ inches thick. If you don’t need a lot of cushion and want a lightweight mat that’s versatile and easy to travel with, you’ll want to take a look at this one. It also comes with a carrying strap, and like its counterpart below, promises a non-slip surface for injury prevention. It also comes with a 2-year warranty. 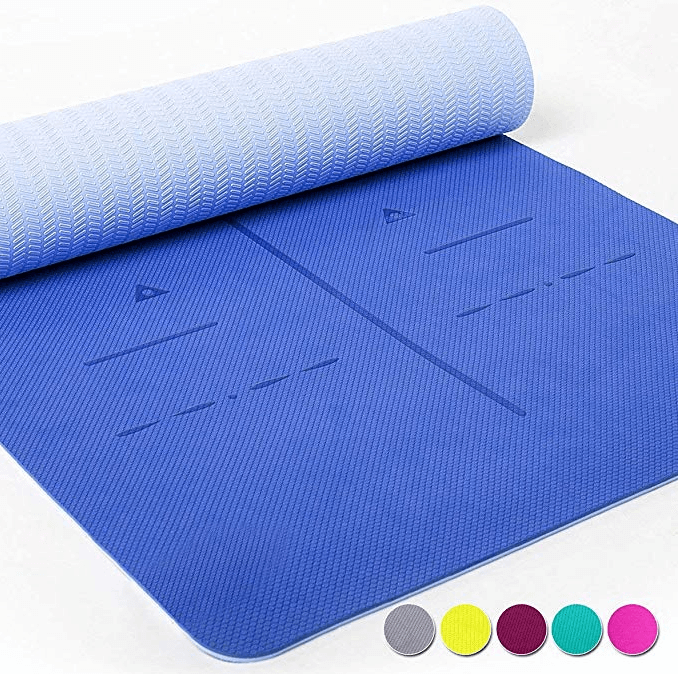 This exercise mat is perfect for yoga, pilates, and whatever other form of exercise you prefer. It’s made of a durable foam material that’s both lightweight and comfortable, but thick enough to provide cushion for those that are searching for that. This one also gives you a textured surface that prevents slipping. If you want to spend a little for a solid exercise mat with a carrying strap, you’ll want to consider this one! Do you need a comfy yoga mat that also prevents slipping? This one provides that and a carrying strap, to boot. It’s lightweight, especially for its size, and promises a 2-year warranty. This one is twice as thick as its counterpart mentioned above. So for those of you searching for extra cushioning, you might want to consider this version instead. Both BalanceFrom mats can also be washed by hand with soap and water. 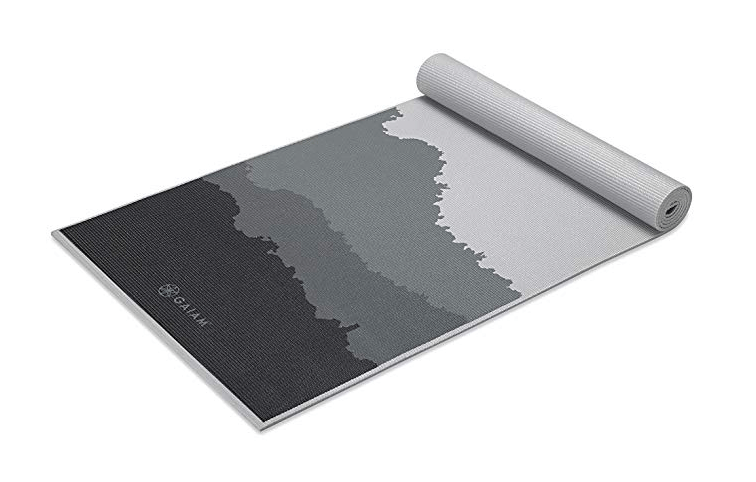 Gaiam has been creating yoga mats with inspiring designs for years. These mats are beautiful to look at and smaller than the rest. If you’re looking for something lighter and smaller, this one’s for you. While it may not have as much cushion as the others, it was made to have a slippery-free feel. It’s also biodegradable and free of toxic chemicals. Twelve different colors and a 2-year guarantee might just seal the deal for you on this one. It also comes with a bonus downloadable yoga workout. This is a perfect mat for you if you want something pretty, lightweight, and cheap. It’s smaller and thinner than the Gaiam Print Premium, but travels well and serves the purpose. Like the previously mentioned mat, this Gaiam mat is made from non-toxic materials. With over 30 truly inspirational designs to choose from, you may find yourself buying more than one! The Manduka Pro is one of the most celebrated yoga mats amongst yogis and yoga teachers. It’s also been around for years. 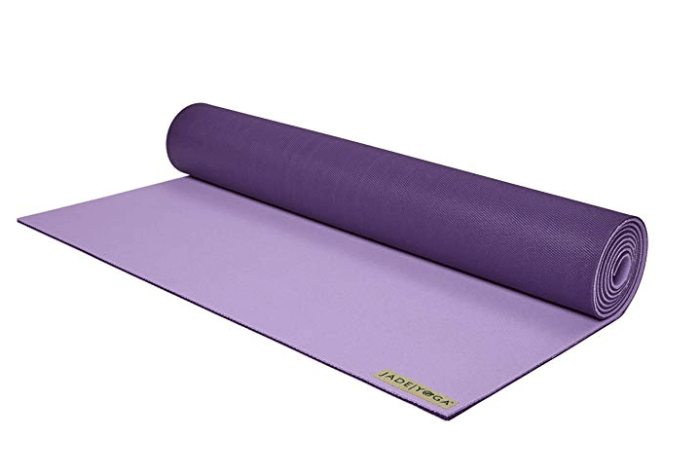 A super comfortable yoga mat, the Manduka Pro is free of latex and toxins, and produced in a process free of emissions. Its closed cell surface is perfect for you sweaty yogis, as it’s designed to prevent sweat from making its way into the mat. This one may be pricey, but there’s a guarantee that it will last forever! If you’re ready to make an investment in a yoga mat you’ll have for decades (unless you lose it), the Manduka Pro might be the one for you! Touted as “nature’s best yoga mat,” this mat is made from natural rubber that gives you both comfort and resilience. The Jade Harmony has an open cell surface which gives you exceptional grip if you tend to sweat. What’s more, this eco-friendly company is made in the U.S.A! And, for every mat sold, a tree is planted, which makes this yoga mat a great investment for those who care for Mother Nature. Take your pick from 13 vibrant colors! Want an eco-friendly yoga mat that won't break your bank? If so, this one might fit the bill. This yoga mat’s ideal for yogis who want sustainability and comfort. It’s made with cutting-edge technology that’s healthy for you and the planet. Plus, you can recycle it! It’s also lightweight, travels easily, and has extra textured surfaces so you don't have to worry about slipping! Choose from 3 varieties of color, all of which are double-sided, with a different color on each side! 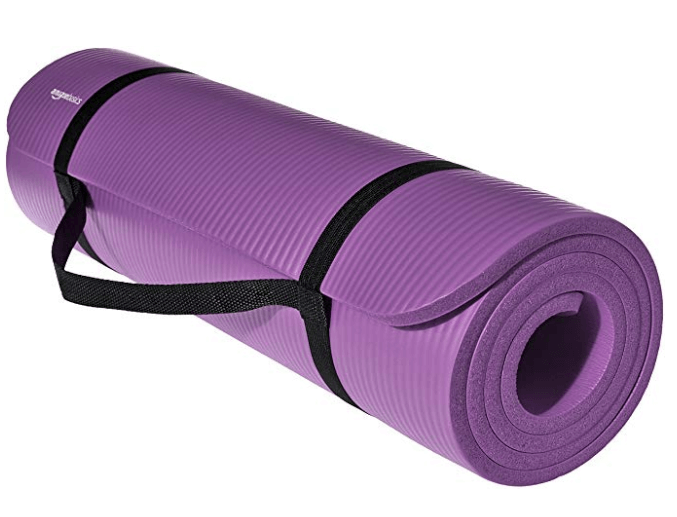 This yoga mat is thick, cushiony, and comes with a carrying strap. A long and wide yoga mat, this one’s ideal for all body sizes. It’s also double-sided, meaning you can use either side, and comes with a 2-year warranty. If you need extra cushion to support tender bones and joints, this is a definite option for the budget-minded. It can also be cleaned with just soap and water. Do you need a thick yoga mat? Maybe 2 blocks, a yoga strap, a yoga mat towel, and a yoga hand towel? If so, this set has you fully covered! The Sivan mat is also made with memory foam, so if you find need extra cushioning on your mat, this may be the one for you. The Sivan Health and Fitness Yoga Set is perfect for beginning yogis who want to commit to a regular yoga practice. And it comes in 8 vibrant colors! There you have it! 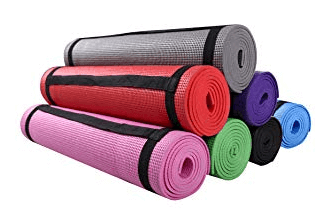 These are some of the best yoga mats you’ll find on Amazon if you’re in the market! Take some time to consider what will work best for you. A yoga mat is an investment. Ideally, you’ll have your mat for years to come! 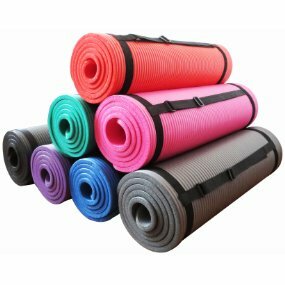 Which yoga mat should I buy?